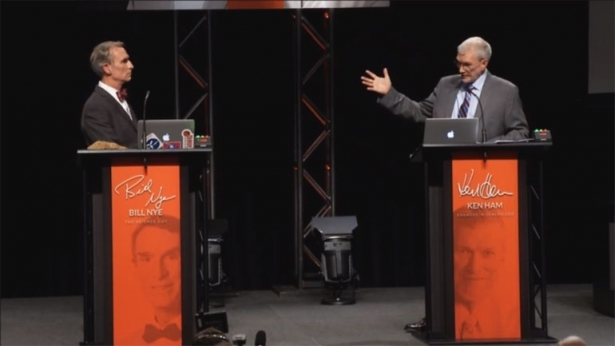 The creation vs. evolution debate that took place Tuesday February 4th, 2014 at 7:00 p.m. between Bill Nye and Ken Ham was fascinating. I was pleased to see both sides state their concerns about their opponent’s view very clearly and respectfully. This type of debate is healthy for our society in that it allows two popular scientific viewpoints to present their case on a public platform for people to make an informed opinion. I am a strong proponent of creationism because the Bible is factually true and scientifically accurate. The Bible is the most scrutinized book in the history of mankind and it has yet to be disproven by anyone. I am writing this article to address some of the topics of concern that Bill Nye addressed and provide resources to clarify these concerns both Biblically and scientifically. The more we understand that God’s word agrees with God’s world, the more we are able to live our lives in bold faith and pursuit of making disciples of all men.